Every committed wine lover will reach a point when they see the appeal of stocking up on good wine. Nobody wants to host a dinner party only to run out of wine, and there’s no real downside to always having an extra bottle on hand. Furthermore, if you decide to start buying wines that require a bit of aging to reach the point where they’re just right, then you’ll need to figure out a good way to store them. The obvious answer for anyone who needs a way to store their wines (but is far from the point of considering a wine cellar or wine refrigerator) is to invest in a wine rack. Wine racks come in a wide range of sizes. If you just want to have a few extra bottles on hand for when you have company over, then you can easily find decorative and functional wine racks that just hold a few bottles and don’t take up much space. If you’re starting down the path of serious collecting, you can just as easily find wine racks that hold dozens or even hundreds of bottles, often designed to use the space efficiently so you can fit a large number of bottles into a small amount of space. Whatever you want out of a wine rack, there’s a good one out there for you. This guide will give you an idea of what’s available so you have an easier time honing in on the options that make the most sense for you. For each of the four main types of wine racks you can find a variety of sizes and styles. How you want your wine displayed and where you aim to put your wine rack will determine which type is right for you. Wall mounted wine racks often do the double duty of holding wine bottles and providing some extra decoration like a piece of artwork you hang on the wall would. Indeed, many wall mounted wine racks resemble artwork so their job of wine storage almost becomes secondary to the visual contribution they make to the space. In addition to offering an aesthetic touch to the space they’re put in, wall mounted wine racks also don’t require any floor space. If your home is short on available floor space, but has plenty of bare walls that could do for a little extra flavor, they’re an obvious choice. Wall mounted wine racks tend to be on the smaller size, since the more weight you add to a rack hanging on a wall the greater you increase the risk of it falling. Most of your more decorative options will hold somewhere between four and twelve bottles, but there are wall mounted racks that hold more. Generally speaking though, once the capacity goes above a dozen bottles, you’ll find simpler designs that are more focused on sturdiness than style. When you buy a wall mounted wine rack, the sturdiness of the wine rack itself and the quality of the job you do hanging it are both crucial. If the weight causes the whole thing to fall down, you not only have a mess on your hands, but you’ll also lose out on several bottles of wine. Countertop wine racks, just like they sound, a racking storage solution that can easily fit on a countertop. Like wall mounted wine racks, they also tend to be on the smaller size so that they can easily be placed on a kitchen counter, table, or wherever you have some extra surface space without much problem. But you can easily find countertop racks that hold around 40-50 bottles that may work for you if you have the space for them. This is one of the most convenient choices available since they can fit into an easy to access spot and are often placed on the counter in kitchens – right where most people tend to open their bottles to start drinking them. They also allow you to save on floor space, which is at a premium in many homes. And they can go in any number of different spots for those low on kitchen counter space – the tops of bookcases, the living room end table that doesn’t get much use, the fireplace mantel – anywhere that you have an unused flat surface (and are confident that people won’t bump into the rack and knock it over). This is a very similar category to countertop wine racks and many racks you look at could easily be placed in either category depending on your own preference of what to do with it. 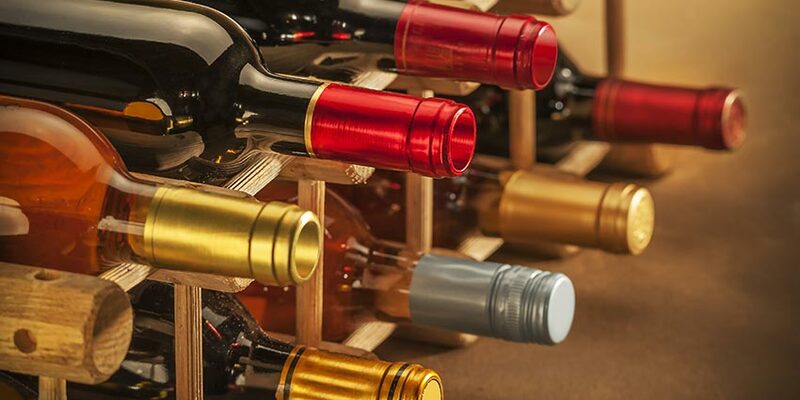 Some floor racks get into a size range that makes them exclusively suited for sitting on the floor though – any wine racks that hold a hundred or more wine bottles are unlikely to fit on your typical countertop. This is the main category on the list that’s good for the avid collector that expects to store a lot of bottles. If you want your wine rack to hold dozens or even hundreds of wine bottles, then this is the category for you. That’s not to say that there aren’t also a number of smaller, nicely designed floor racks that hold closer to six or twelve bottles that take up less floor space. If you want something small that’s easy to fit in a spot on the floor you have available, that’s an option too! Floor wine racks are pretty much the most versatile of the bunch because you don’t have to worry as much about things like weight and height. Hanging wine racks are similar to wall mounted racks except that they hang either from the ceiling or under a cabinet space rather than being mounted on a wall. Like wall mounted racks though, you need to be careful to buy a wine rack that’s sturdy and take care to install it well so that you don’t risk losing all your wine in a messy, upsetting fall. Many hanging wine racks are beautiful and they join wall mounted racks in being good for helping you save on limited floor or counter space. Some hanging wine racks also come with a spot for hanging wine glasses as well, so you have both items conveniently located together when you need them. 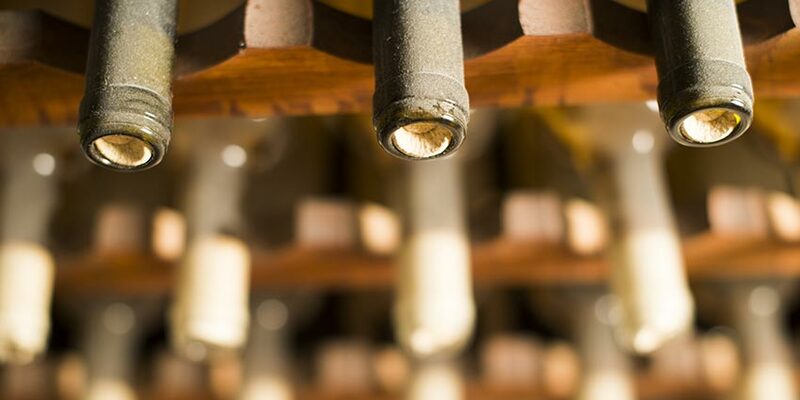 There aren’t too many different factors to consider in your search, but each of the four main considerations you should make are important to identifying the wine rack that works best for your needs. First and foremost, you need a wine rack that will both fit in the space you have available and hold the number of bottles you need to store. As mentioned in the previous section, if you aim to really grow your collection and store a lot of bottles, you should probably carve out some space in your home for a floor wine rack with a high capacity. If your needs are simpler, then you can find many smaller wine racks that hold bottles in the four to eighteen bottle range that are easy to fit on your wall, your countertop, your floor, or hanging from your ceiling. These will still take up some space and you’ll want to have a spot in mind for them before you buy, but most smaller wine racks won’t be very complicated to find a spot for. 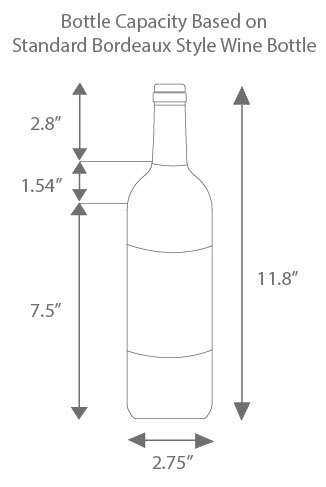 Also consider the size of the wine bottles you buy. While many types of wine come in pretty standard bottle sizes, if you buy Champagne, Bordeaux or like to get magnum sized bottles, then you’ll need a wine rack that can accommodate the different shapes and sizes. For many buyers, the design of a wine rack will be the most important consideration. Why not buy something that turns your wine bottles into art? Many wine racks from all of the different types we listed offer some style that will add something visually appealing to the space you put it in. You can find colorful wine racks, ones with a modern design, ones that provide a rustic look, and many that provide a touch of elegance. When it comes to finding the right style for you, your main bet is to simply do some browsing. Look at photographs of different wine racks available to see what jumps out at you. Beauty is subjective, so no one can tell you the right design to go with. You’ll know it when you see it. Wine racks are usually made of either metal or wood. Wood wine racks provide a more traditional look and tend to come in earthy colors that many people like the look and feel of. Metal racks are often black or silver, but can come in other colors as well. Many of the wine racks that provide a more modern style come in metal. There’s really not a strong case to be made for one choice over the other. It mostly comes down to your personal preference and which fits best aesthetically in the space you’ll be putting your wine rack in. For many shoppers, this will be one of the most important considerations. Large, high-capacity wine racks can get very expensive – over $1,000 in some cases. Small wine racks with a simple design can cost as little as $10. In between, you’ll find a wide variety of pricing options. 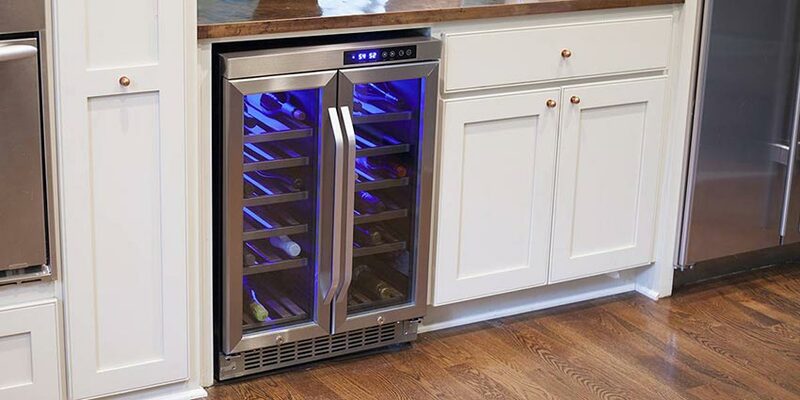 Some that come in an especially attractive style will cost more, as will those that include extra features like cabinets or drawers for wine accessories. For hanging or wall mounted wine racks it may be worth shelling out a bit extra upfront to minimize the risk of a painful loss of nice wines if it falls down. 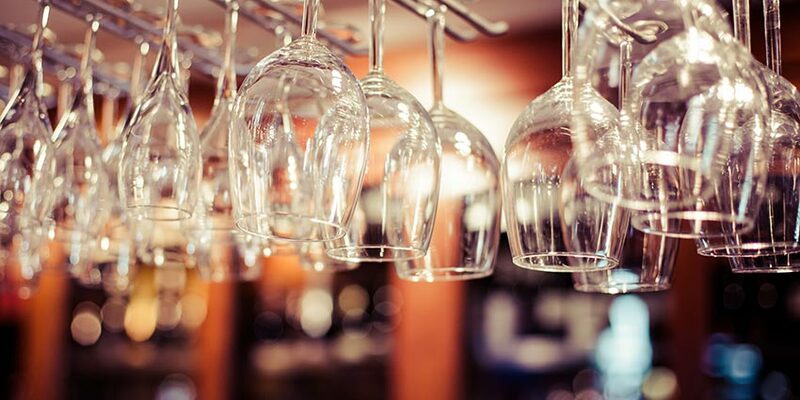 There are so many types and styles of wine racks available that, chances are, you can find something you like that suits your needs within your price range. Some wine racks go beyond providing a space to store wine and will also serve as a table, offer cabinets, or provide a drawer for wine accessories. While many shoppers won’t find these options necessary, they can be nice to have and save you money in comparison to buying those items separately. There’s so much variety amongst the wine racks on the market that you may want to narrow your search down based on the style and reputation of some of the main brands in the space. To give you an idea of what people have to say about each, we looked at the reviews for wine racks made by all the top brands to bring you a summary. 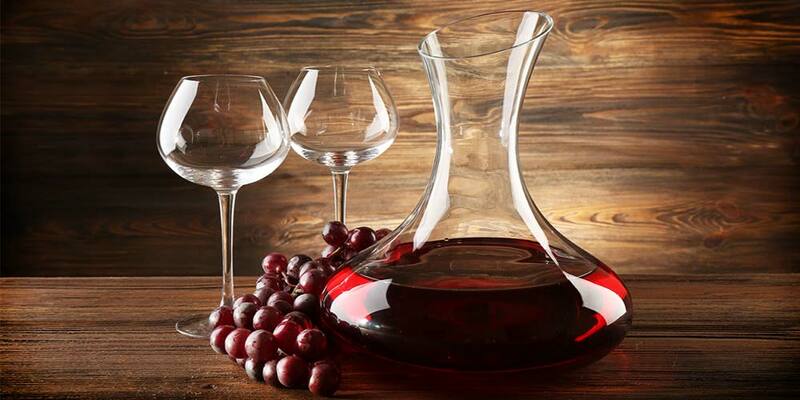 2 Day Designs makes a wide range of wine racks in elegant designs that fit nicely into many styles of home. Many of their wine racks can double as coffee tables, cabinets, or decorative accents. Reviewers talk about how their pieces look amazing and inspire conversation amongst friends, all while being functional. A couple of dissenters amongst the reviewers complained about the pieces being poorly made, but the majority of customers were happy with the craftsmanship on display. Brayden Studio sells an array of wall mount and tabletop wine racks that get solid reviews from customers. 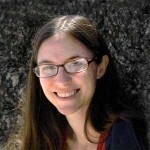 They vary in design from basic styles to more modern, artistic ones. Across the board, customers are happy with their purchases. They say the wine racks are sturdy, look great, and are easy to install. Oceanstar’s stylish bamboo wine racks are popular with customers who say they’re high quality and easy to put together. They have stackable models that are easy to add to over time, as well as countertop models that are stylish and hold a lot of wine without taking up much space. Reviewers are happy with both types, proving OceanStar to be a reliable brand to go with for wine racks. Sorbus sells wine racks that provide a fairly simple style that customers pretty uniformly like the look of. Many reviewers mention purchasing their wine racks for storing things other than wine, like towels. Their reviews are mixed when it comes to the quality of the racks, a good number of customers complain about the wine racks not being very well made or sturdy enough for the purpose. Spectrum makes countertop and undercounter wine racks. They sell racks that come in pretty simple, straightforward designs as well as ones that offer a decorative element. Reviews for all of their racks are strong, with customers saying they’re sturdy, they look good, and that they’re a good buy for the price. Vinotemp sells a few wine racks that come in simple, but stylish designs. While there aren’t quite as many reviews of their products online as we found for some of the other brands, most of the customer reviews out there are positive. 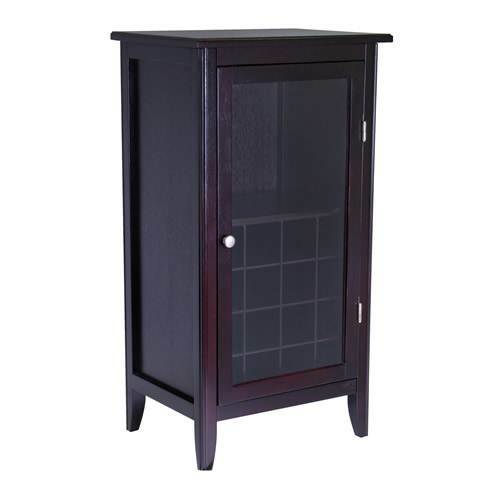 People like the look of their Vinotemp wine racks and praise them for being both functional and attractive. VintageView provides attractive but simple wine racks in a large range of sizes. The racks designed to fit a large number of bottles do so with great efficiency – you can store many bottles in a relatively small amount of space. Customers are happy with the quality of their VintageView racks. They say they look great, are practical, and get the job done. Wine Cellar Innovations sells a wide array of wine racks in different types, styles, and sizes. Many of their larger wine racks pack in a lot of bottles, while also looking great. The one complaint that comes up repeatedly in reviews of their wine racks is that they’re difficult to put together, so be prepared to make use of your tools and spend some time. Most customers are very pleased with their wine racks once they get past that hurdle though, saying they’re both beautiful and functional. Winsome offers a very wide range of wine racks, many of them that have multiple uses, like also serving as cabinets or tables. With so much variety in the products they offer, it makes sense that the reviews vary in what they comment on. 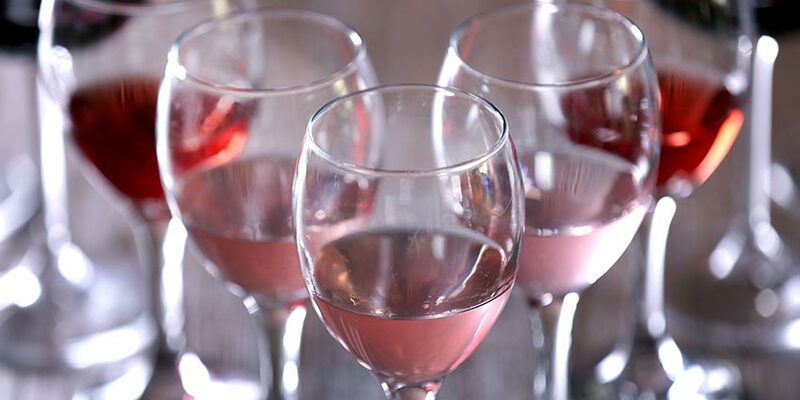 Reviews are routinely positive, but often mention product-specific features, like the convenience of including a drawer that can hold wine-related accessories or how great the color or finish of a product is. Some of their items get praise for being easy to assemble, others earn complaints for being difficult to put together. What the reviews have in common is that most reviewers are happy with how their products look and how well they function. On the whole, the takeaway from their reviews is that they’re a quality brand to go with. 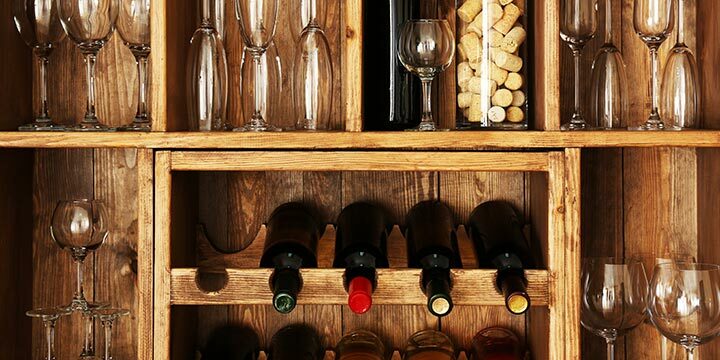 There’s no right or wrong option when it comes to identifying the right wine rack for you. If you have space for it and it holds the amount of wine you need it to, then the rest is up to you and your personal preferences. You can buy a fancy metal wine rack with floral decorations or a simple wood one that does the job and doesn’t take up too much space. You can purchase a high-capacity wine rack that holds 200+ bottles or a 4-bottle wall mount wine rack that also serves as a piece of art for your wall. It’s all up to you and what works best in your space. My step mom loves cooking with wine, and she has a bunch of bottles on her kitchen counter. I think it would be nice to get her a small wine rack to store them in. Because a countertop style can be put almost anywhere, it would make the perfect gift. That way, she could use it in the kitchen, on a table, or anywhere she has some extra space. I’ll for something that can hold 6-12 bottles in a style that matches her decor.